Fine textured, deeply cut foliage gives this unusual crab a delicate appearance. 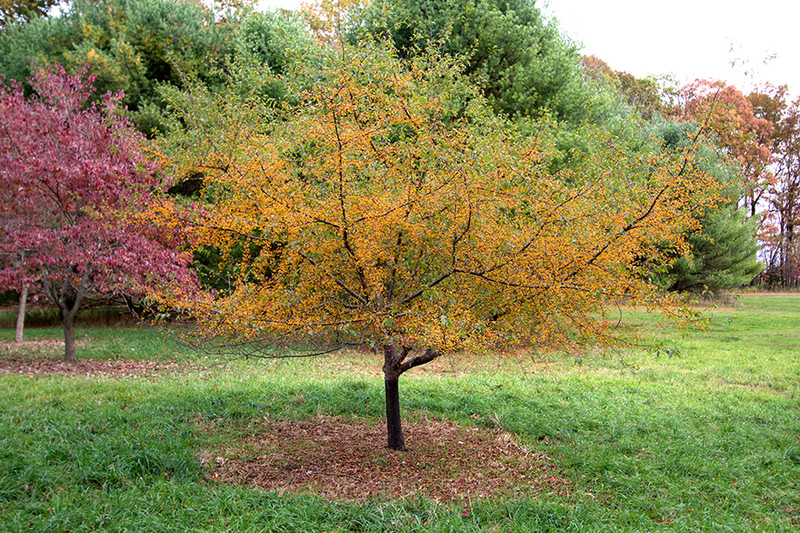 Elegant form, with slender limbs spreading horizontally from upright branches. 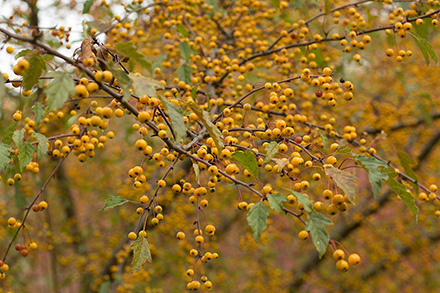 Abundant golden-yellow fruit late summer through fall. Wet tolerant.